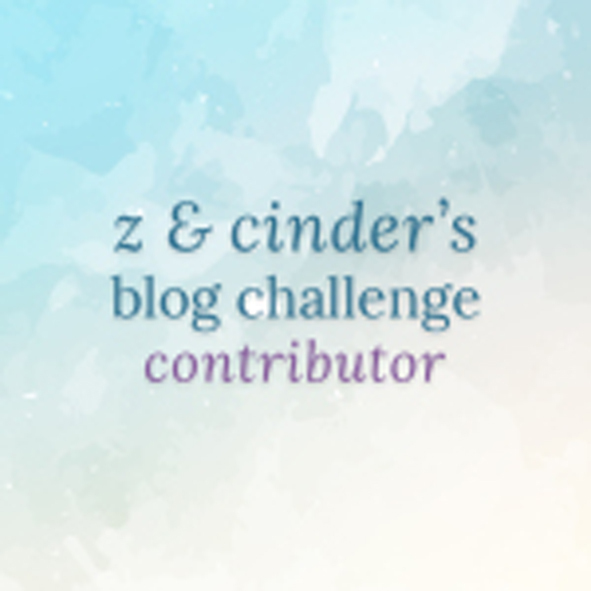 Eek, I have a blog I’ve been neglecting badly. 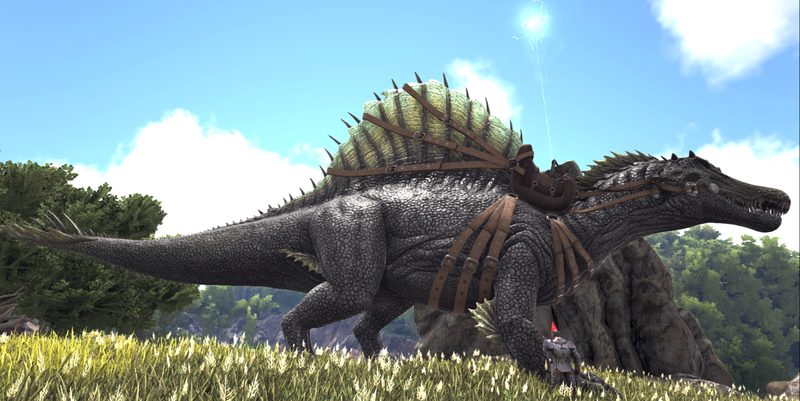 There’s been so much Ark playing going on that I really haven’t taken much of a break to write about it. 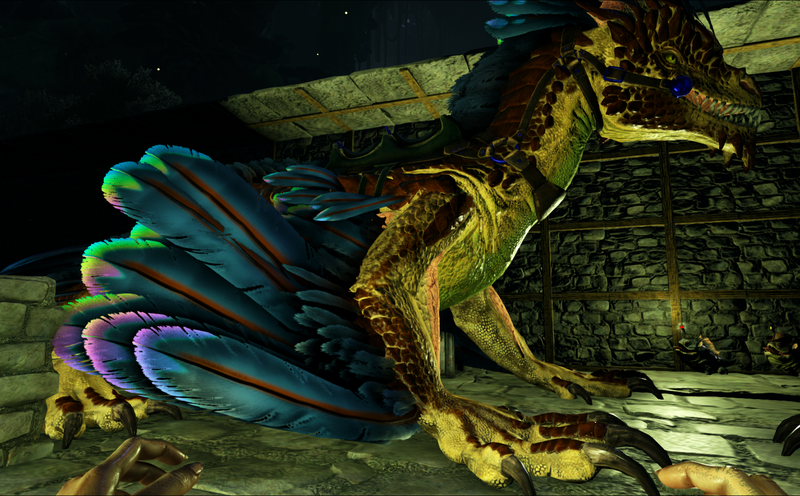 We’ve been busy progressing slowly through the last ground cave on The Island which is a death filled pit of super strong dinos you need to face on foot as no dino fits through the entrance and building up our dino army to have a go at the end bosses of Ark. But.. we decided one of the weekends not too far back to take a bit of a break and go have a look at the Scorched Earth map for a little change. 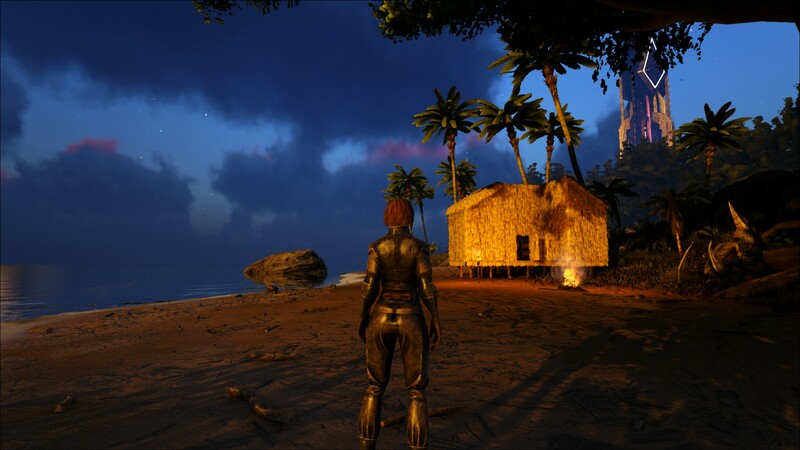 And… the quick look turned into a couple of weeks so far, because a change is as a good as a holiday and there’s so much to do; building up a base and exploring the caves that we just haven’t really got back to the Island. Dec’s hosting the Scorched Earth server on his PC, while I have The Island on mine so it means we can have both up at once and hop back and forth between the two if we want to pick up supplies from our well stocked Island map. Each map is so gorgeous that I honestly have a hard time picking which one I like the most but Scorched Earth wins out over the Island just a little. Sand dunes for days in the deep desert. I’m pretty sure when we get to Ragnarok I’ll say the same thing. 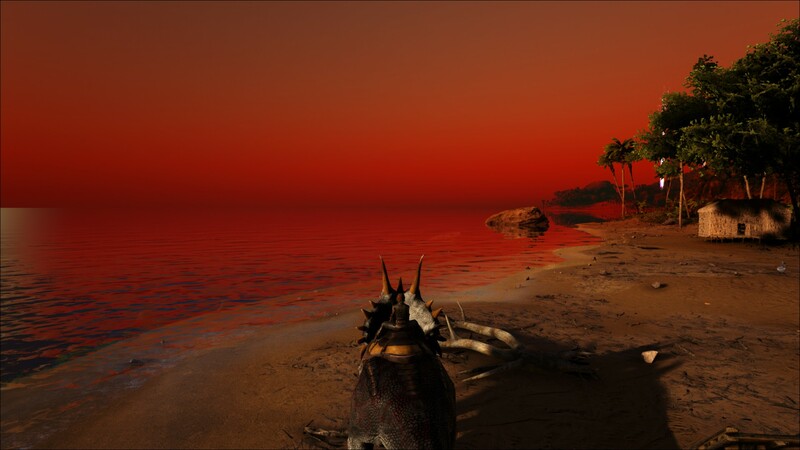 In lore though, Scorched Earth follows on from the Island as the original Ark inhabitants who were on the Island map found a way off there and onto S.E. 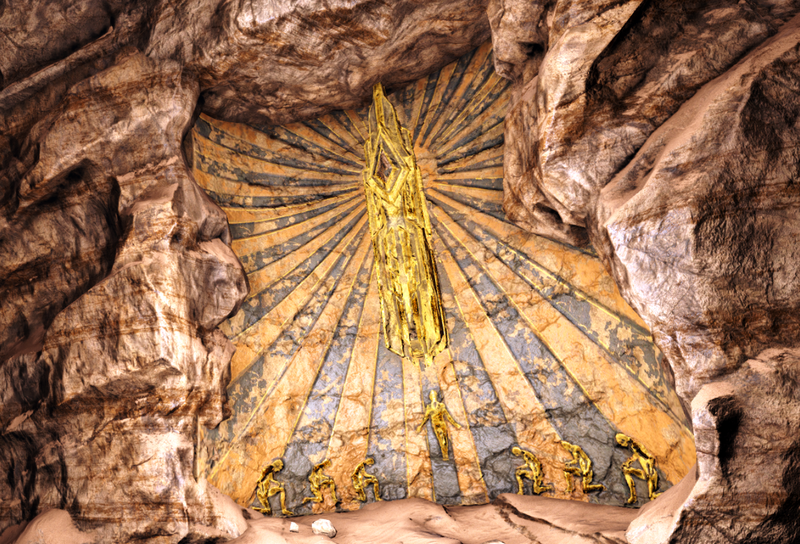 The little explorer notes dotted around the maps pick up the tale of them working their way through the desert and finding more about the purpose of the Arks and the role the 3 obelisks play. I’ll talk about that more another day when I’ve found all the notes because I’m trying not to spoil it too much by reading ahead and instead I’m letting the notes fill in the lore for me. A new map means a new base and I love our desert home. It started super small but we really needed more room so a few extensions went on. I talked Dec into letting me try out a building mod called Structures + which is amazing because it lets you pick items back up when you’ve placed them instead of just destroying them and you having to make more. I tend to misclick a lot when I’m building so being able to pick up a badly placed walls means a lot less going to have to dig up sand and wood to make new building pieces and it’s way quicker if you don’t like a design, you can just pick up all the pieces and replace them. 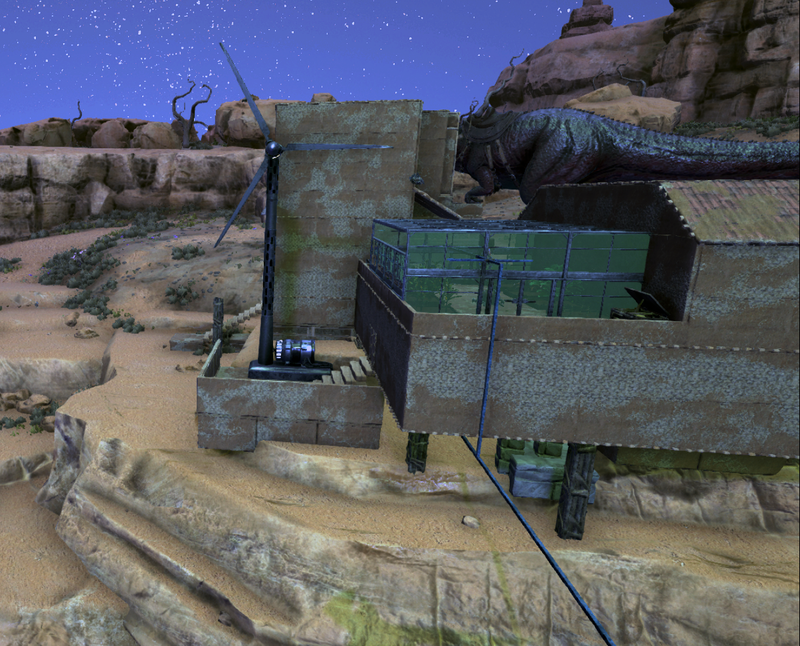 Scorched Earth has 3 caves and we’ve worked out way through 2 of them so far. Just enough space left on the shelf for the last cave artifact! 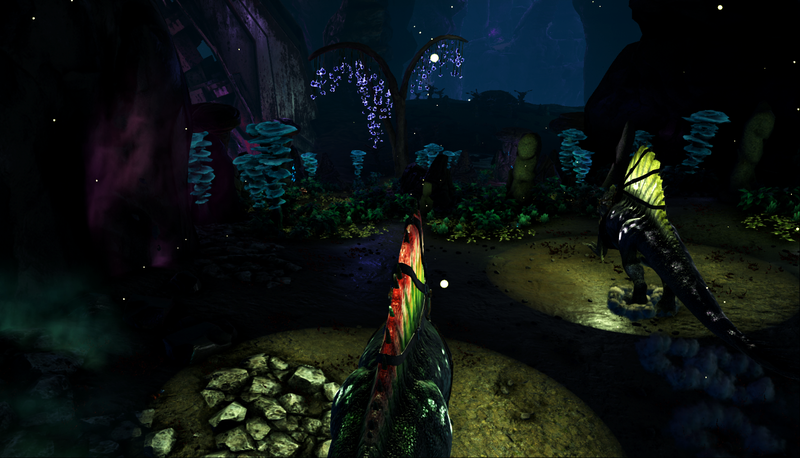 I brought my beloved Baryonyx over to help go through the caves and it was so fun. 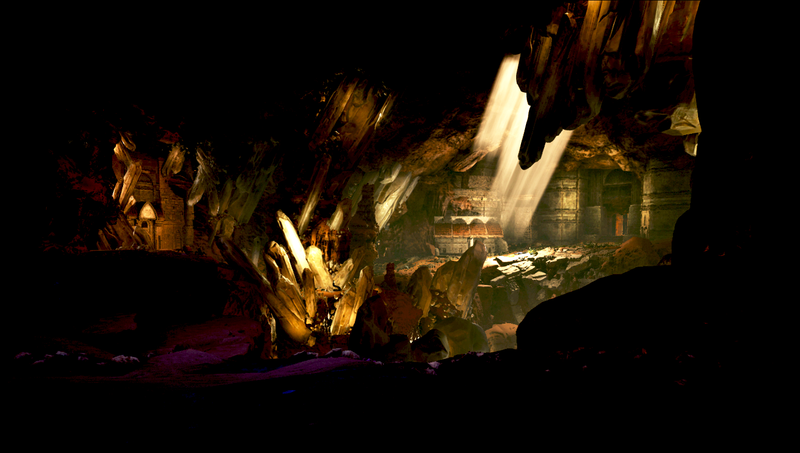 The desert caves are super gorgeous inside. Ooh a hint to what the Obelisk’s are for. 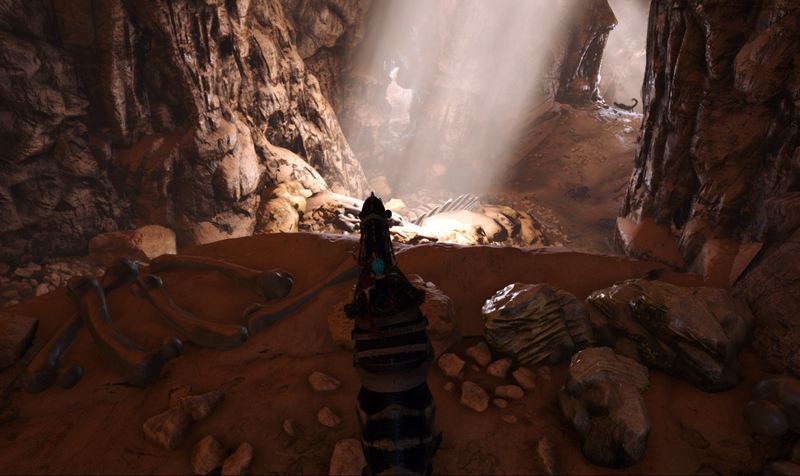 The 3rd cave can only be done on foot as the entrance is very small so I was really nervous going in there but we got through it to the end but then on the way out I misjudged a jump and fell to my death and then Dec died as he was left alone to try to get out through the respawns and we lost all our gear as there was no way we were able to make it back through to collect our items before they despawned. We’ll need to build armor and weapons back up a bit and then go back for a 2nd try. 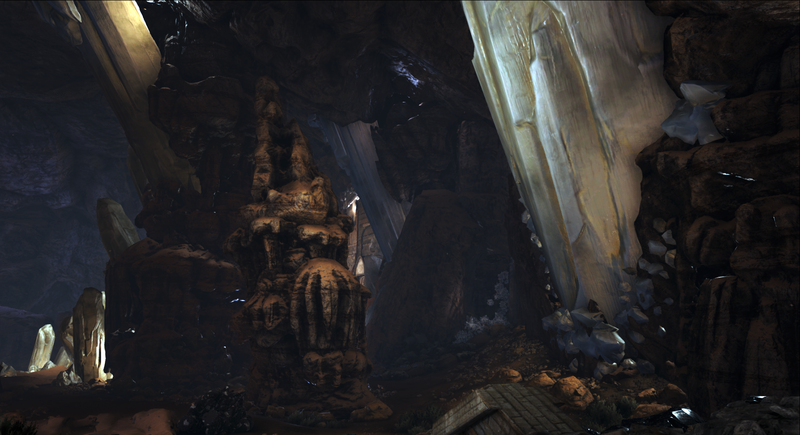 One of the strats for that cave is to take a baby dino to the cave and get it inside while it’s still very little and then raise it up in the cave. I’m not sure how I feel about that as it means the dino will then be trapped forever and die unless we go back and feed it regularly. 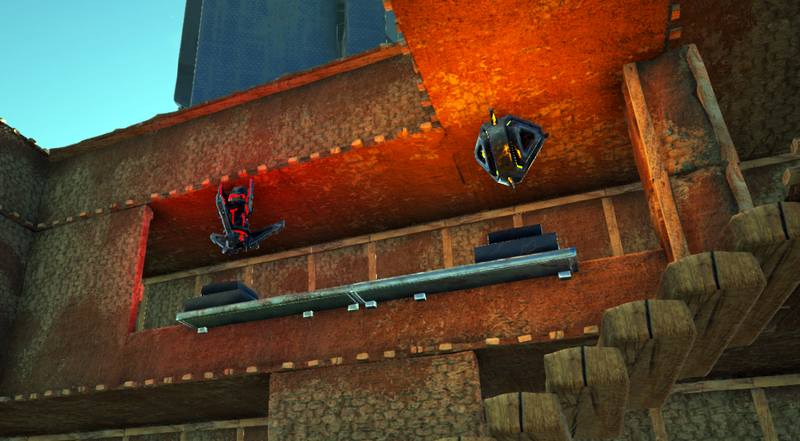 I think I might just take some building materials and build bridges over the jump I messed up. I am however considering that idea for the snow cave on the Island because that is one hell of a hard cave. 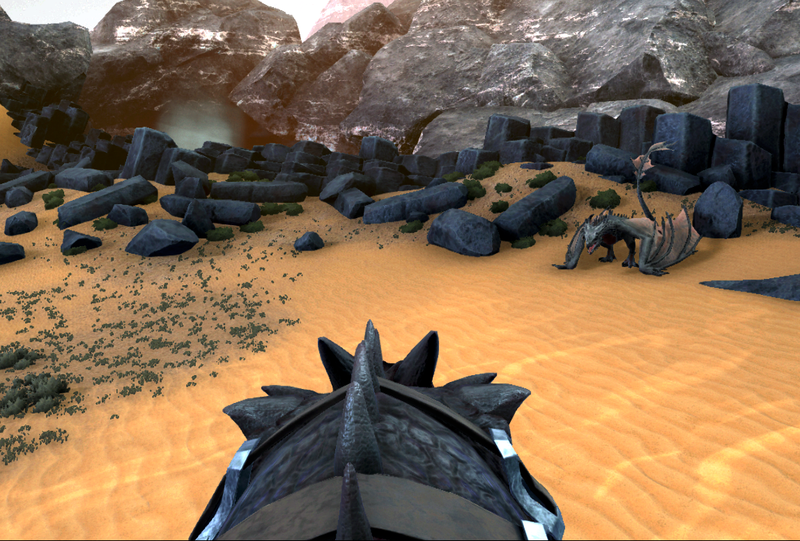 Scorched Earth has Wyverns! 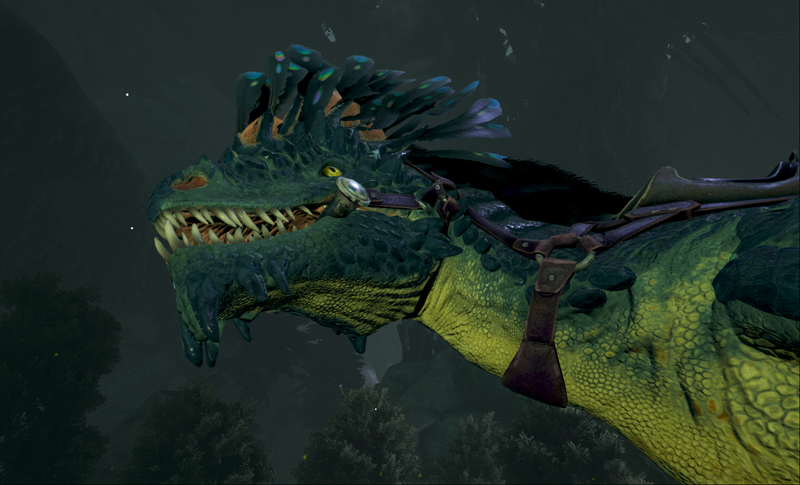 I want one so much, I can’t imagine how awesome it would be to fly through the Air on a dragon (well.. ignoring that I do it in WoW all the time lol). 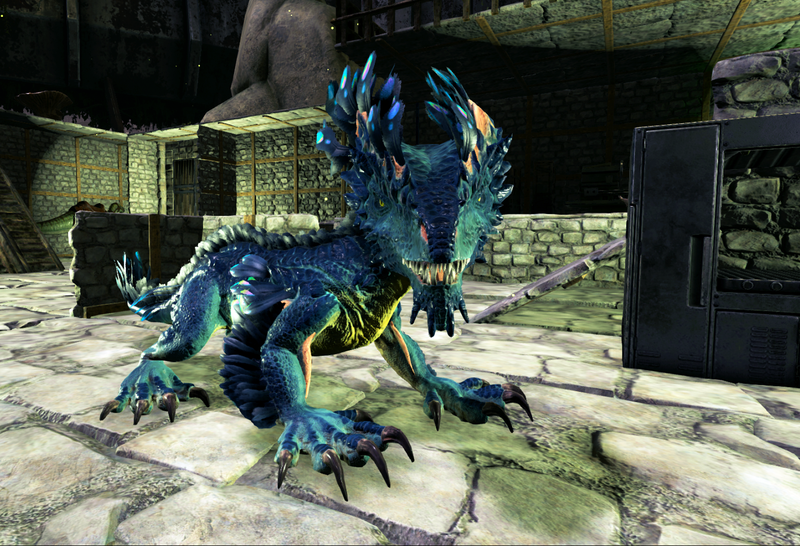 You can’t tame a Wyvern, only steal their eggs and raise a baby dragon for yourself. 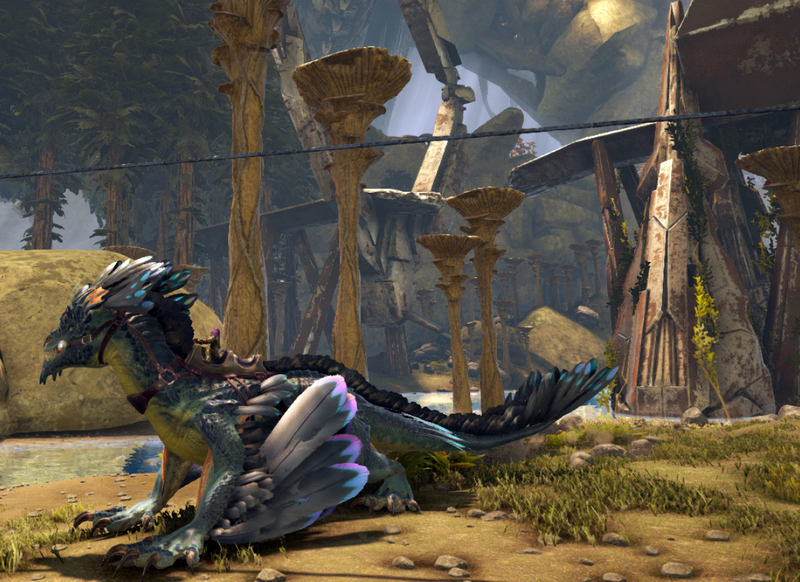 There are 3 different types of Wyverns; Fire (they breath flames as attack), Poison (they spit acid) and Lightning (they shoot bolts of lightning). 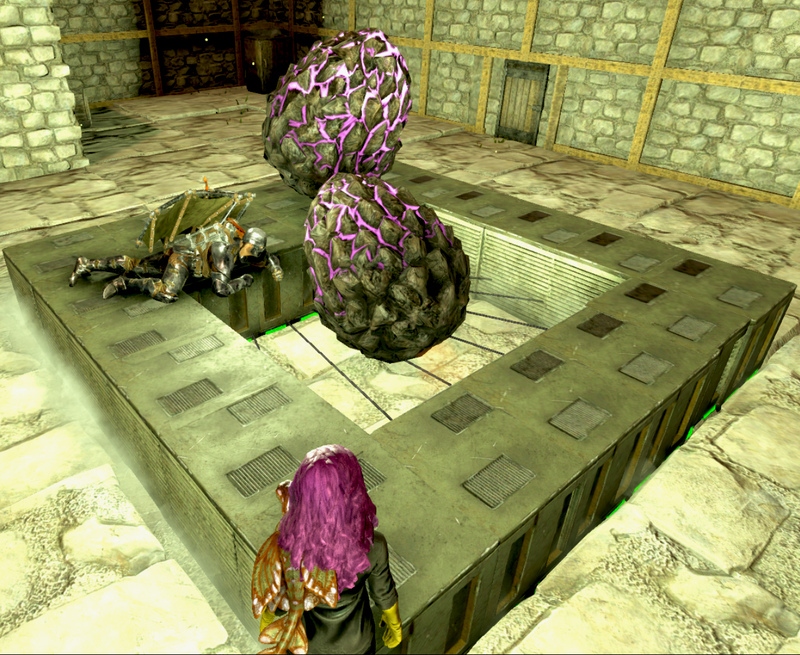 Our Giga is pretty much the only thing strong enough to take on a Wyvern so of course we brought him over and our method for finding an egg is to lure the Wvyerns out, one by one, from the Lava pit they live in and pick them off so the coast is clear for us to go look for eggs. 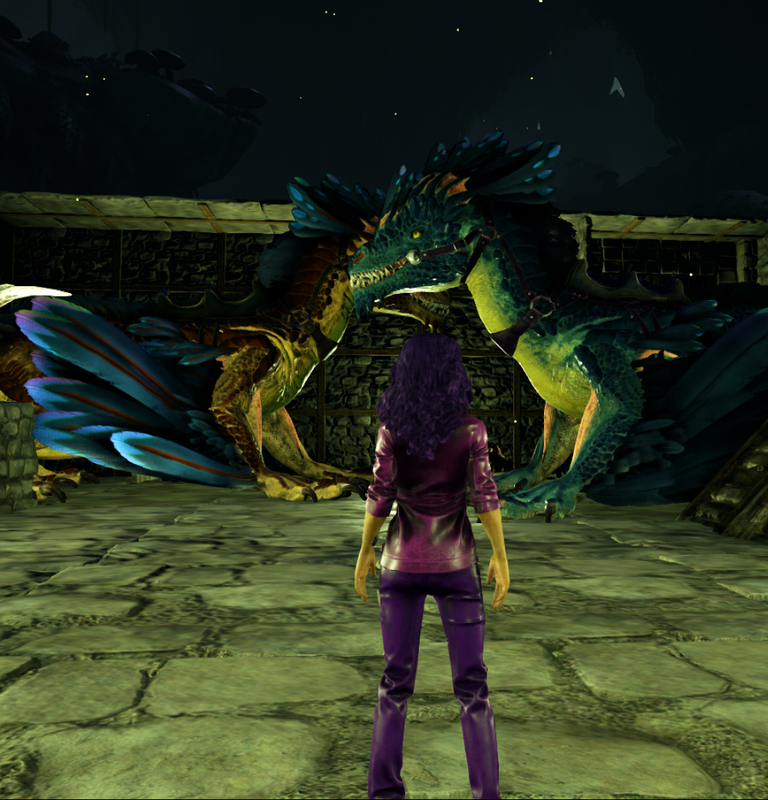 So far we’ve found 1 high level egg, so we snuck it back over to the Island where we have power and fridges to keep the egg from spoiling and hopefully over the course of this week we’ll find another decent level egg and then the weekend will be baby dragon raising. Fingers crossed! Sssh, don’t judge me by the contents of my backpack, just look at that gorgeous egg! Day 126 on The Island and so much has changed with a new house and quite a few additions to our dino family. 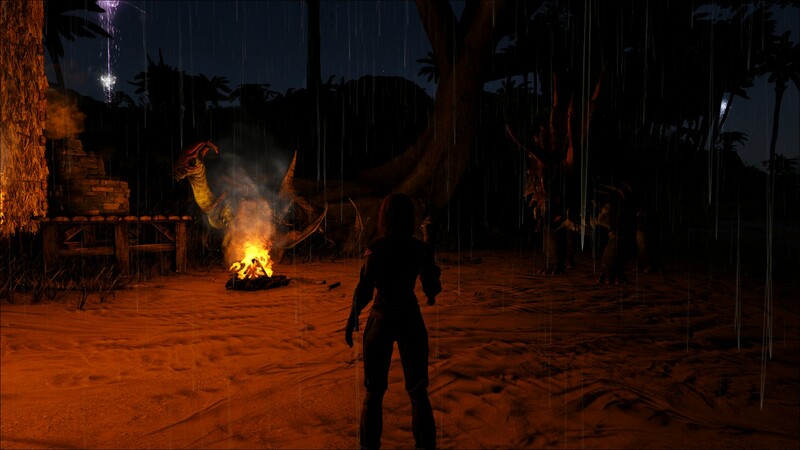 Once we leveled up enough to be able to tame flying Pterodons, the whole Island opened up and choosing a new house location became much easier. 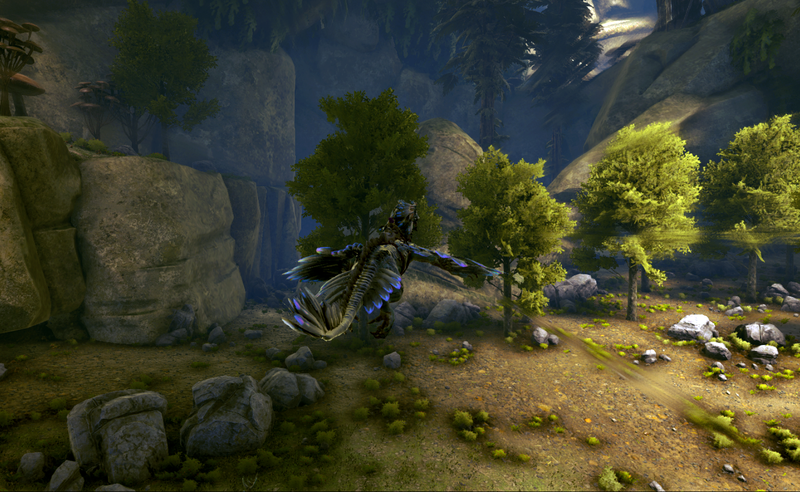 Flying in this game is so much fun, especially on the little Pteros. They can’t hold much weight but they are pretty fast so getting around takes way less time, and it’s much safer in the air! This site for the 2nd house was chosen to be near all the different biomes. 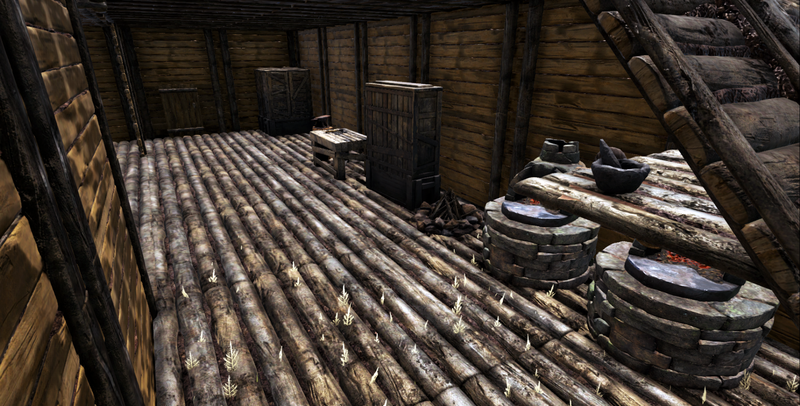 It’s in a slightly more dangerous area then the first house but still fairly safe enough to be kept in wood. It’s not quite in the centre of the map but it’s close enough to be a short flight to everything – snow, forests, swamp, volcano and beaches, which is handy as different dinos and resources are found in all the different regions. 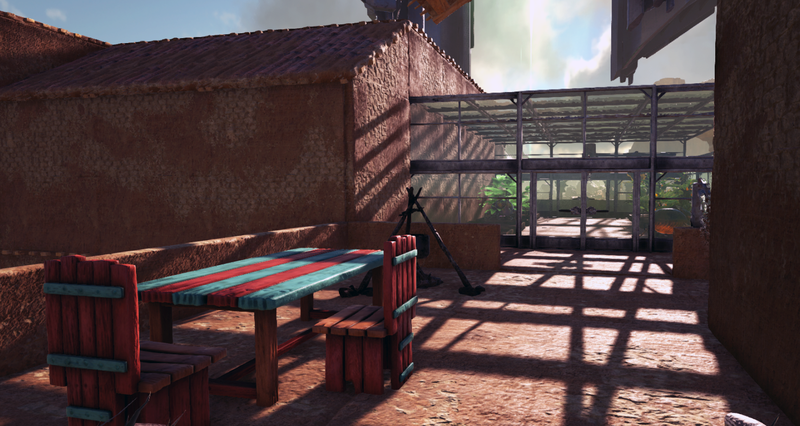 I’ve been looking at really gorgeous buildings that people have made in Ark and I’m so far away from being able to build amazing structures (and I don’t think I’m that creative tbh) but I’m fairly happy with how the house is coming along so far. 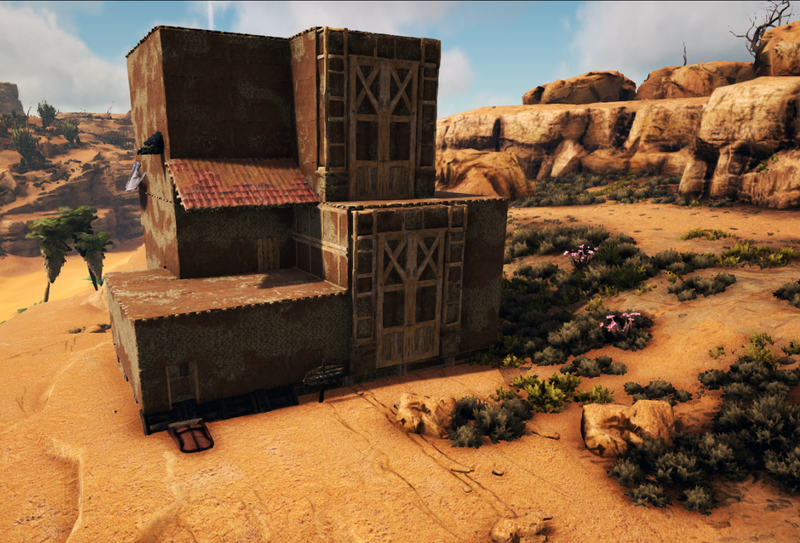 It’s 3 levels inside, the bottom floor is for crafting and where the smaller land based dinos live. 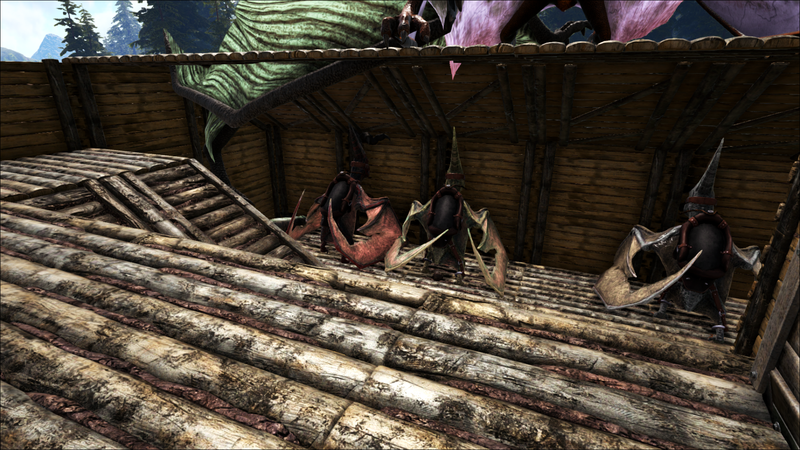 The middle floor has the balcony to get outside and where the Pterodons are parked. And the top floor is open to the air and where the bigger fliers are parked. 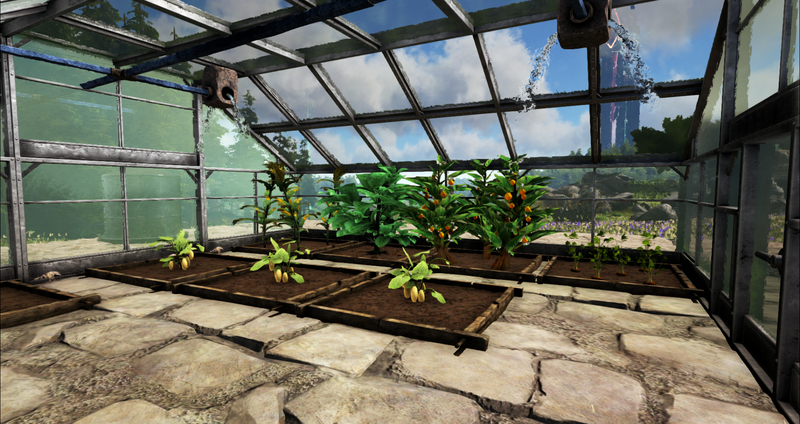 I got my greenhouse up and running and luckily it rains a lot on this map, so the plants and watertank stay full of water. 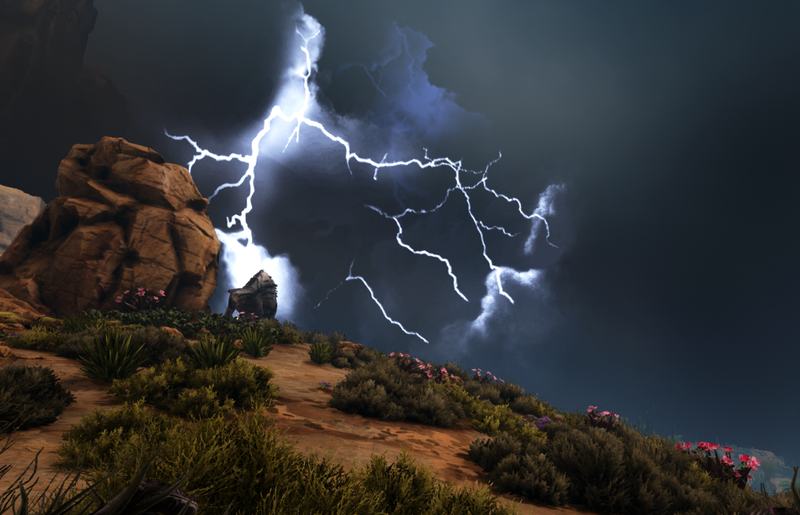 I can’t stand gardening IRL but I love getting to muck around in the garden in Ark. 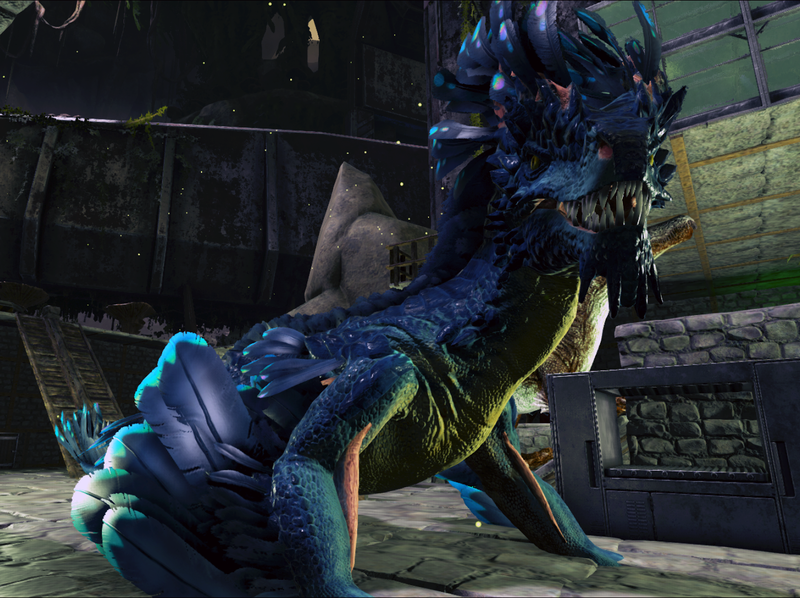 The faster you tame an animal in Ark, the better level it comes out with at the end. 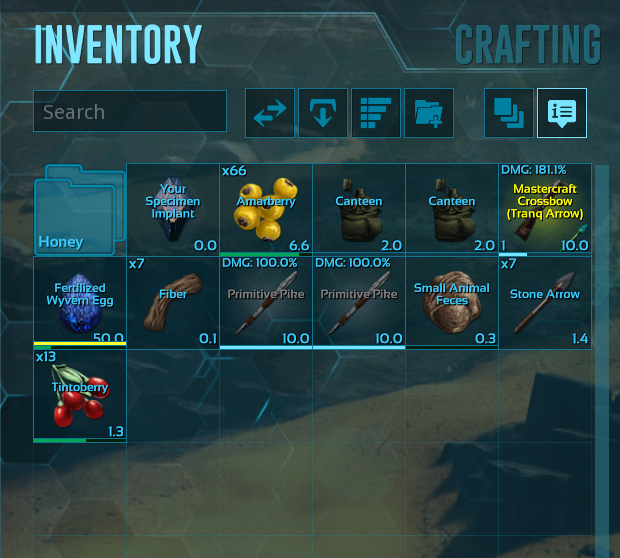 Each food that you can tame with, meat, berries etc have different values for taming timer but the fastest way to tame is by cooking kibble made with the different dino eggs. 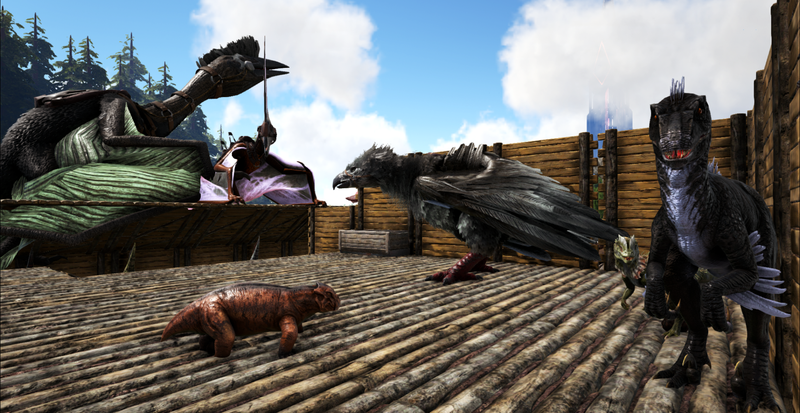 The first type of kibble I’ve decided to focus on comes from Dodo eggs, so I’ve been taming a collection of female dodos. They make the cutest little cooing noise when you’re around them. I built them their own little thatch coop off the main house. It’s gorgeous to walk in there and listen to them carrying on. They are super cute (but also a bit creepy ) and they to stare at you as you walk around. 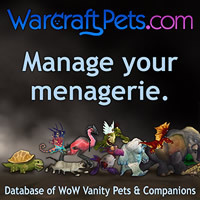 You can also pick them up and run around when holding them. Dodo cuddles! 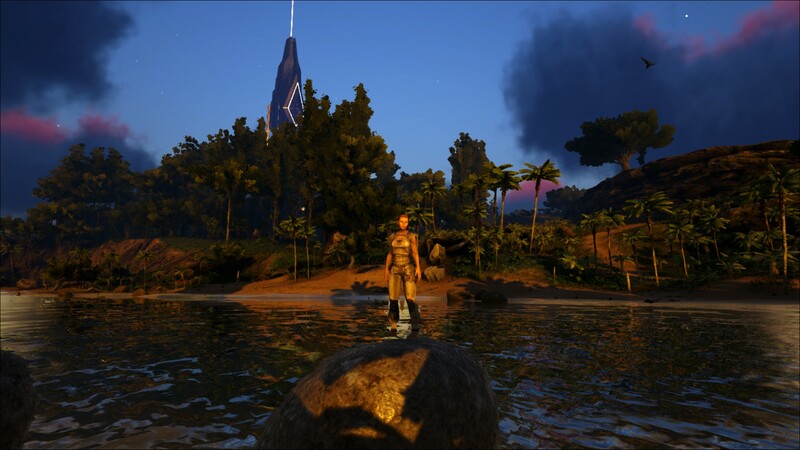 There was a level 100 Spino (150 is the max wild dino level) frolicking around in the water under our cliff tonight so it was a great chance to go get one. 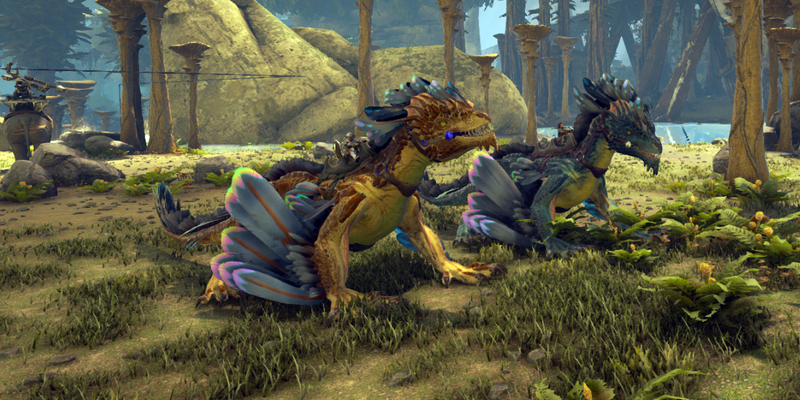 Next to Rex’s they’re one of the most dangerous dinos, super fast in land and water and super strong. 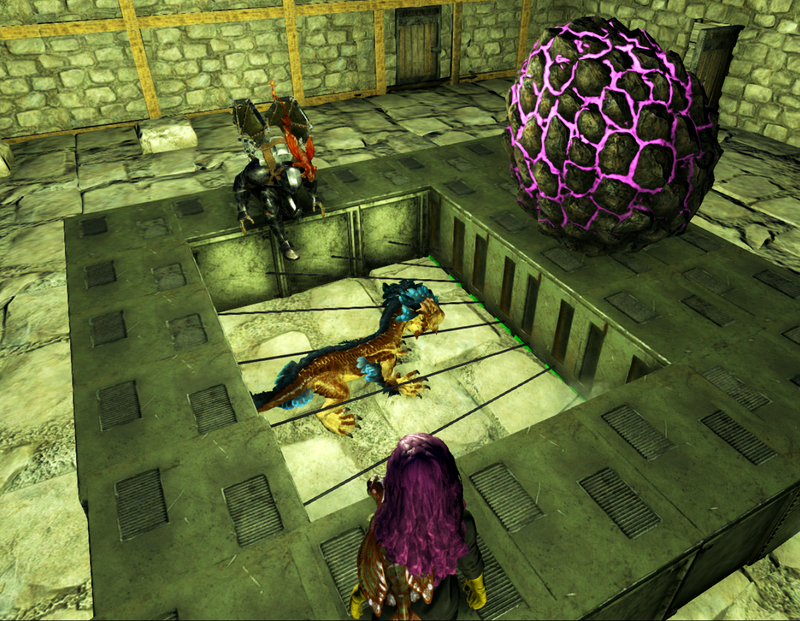 Dec helped me set the trap up and lured the Spino in because I was being an utter chicken and didn’t want to get close to it even though it was my idea to go tame him. Even when he was in the trap and I was shooting him with Tranquilizer arrows, I was so nervous he’d suddenly break out and I was going to get munched on. He didn’t break out though and is now guarding the front of the house when we’re not there. He ended up taming right before I logged off for the night so I can’t wait for tomorrow night to see what he’s like to take into the water. The wild ones bounce around like crazy when they’re chasing fish in the water. 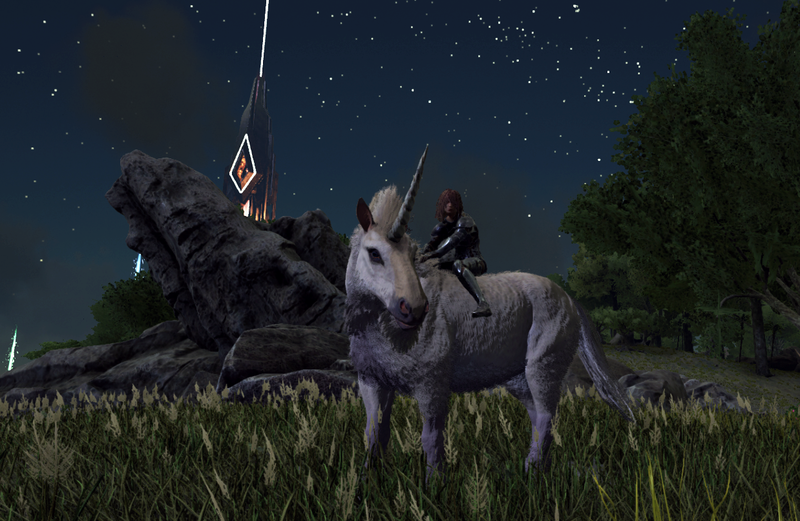 On each map, there can only ever be 1 Unicorn alive at a time so they are super rare. 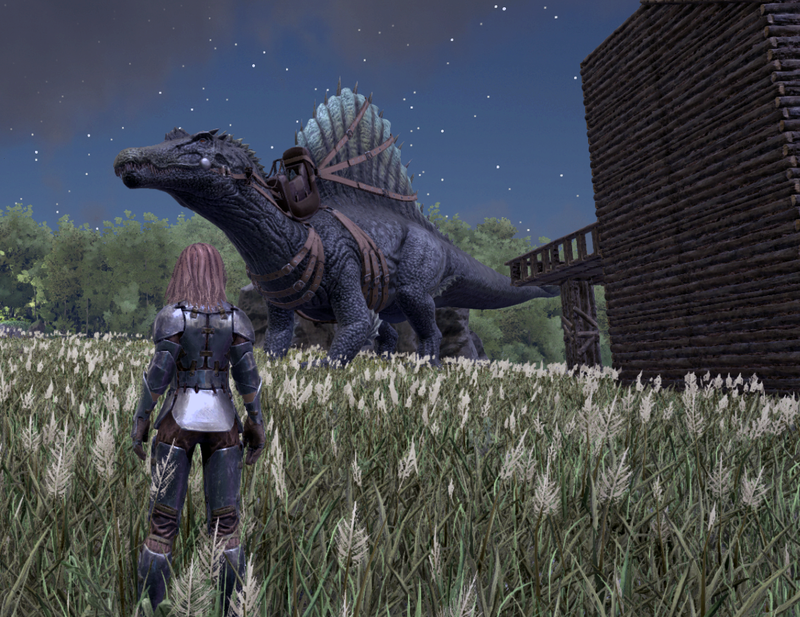 I’ve seen 2 before but both were in really dangerous places and pretty much were eaten not long after I saw them, but out collecting Dodos tonight, I saw it and amazingly it was in relatively safe, scary dino free area, though ages away from the base. I raced back to the greenhouse to collect carrots and flew back with my fingers crossed hoping he was still there. He was! 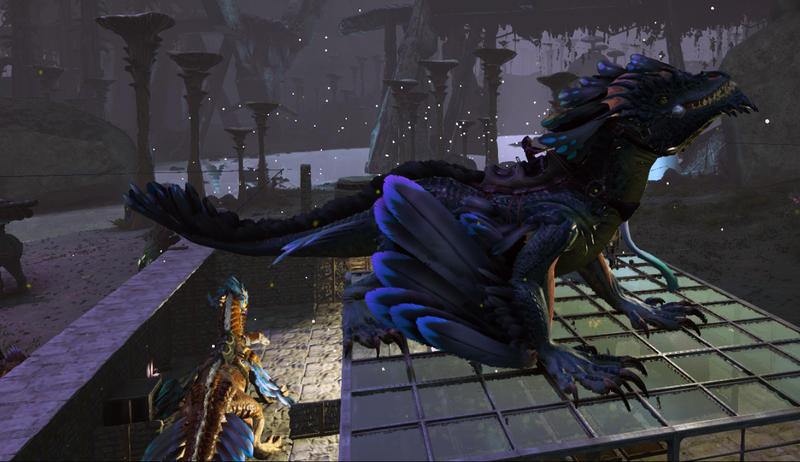 The tame was pretty quick thanks to the boosted tame timers on the server but then I had to decide how to get him back to base. There was no way I was riding him back without a saddle to give him armor, especially as I had to get through the Swamp which is really dangerous. I ended up leaving him in the middle of the closest deserted spot I could find and flew back to get the Quetz which is the biggest flier and capable of picking up horses, with my fingers even more tightly crossed this time. 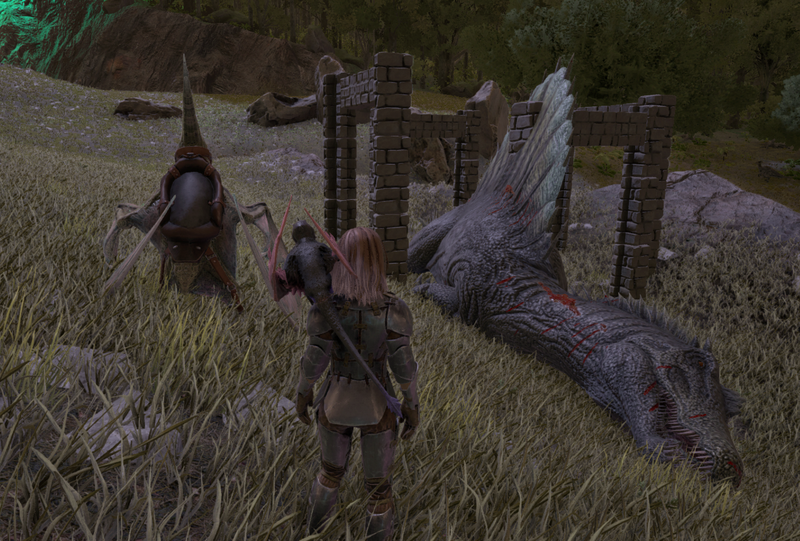 Amazingly nothing killed him but even flying back was a bit nerve wracking because every time I’d have to land to get stamina for the bird, I was sure we were going to be attacked. But I got him home safely and am so excited to have my own Unicorn. 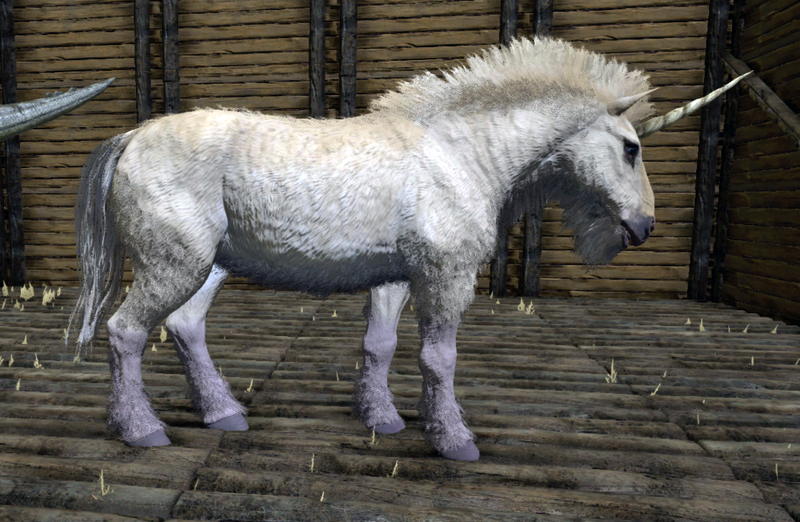 Though, given my track record with keeping horses alive, it might not be a long-lived Unicorn.